Before we set off on a 6-day trip to Davao City, we had already decided not to proceed with our plan for a side trip to Lake Sebu. 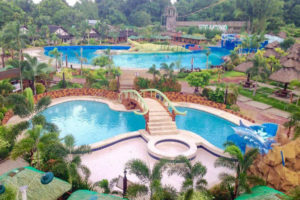 I was truly disappointed, to say the least, but I also understood that our time wasn’t enough to truly experience and enjoy all the things that Davao and the nearby Samal island have to offer. The trip also coincided with the highlights of the eventful annual Kadayawan festival, which we wouldn’t want to miss either, so there was no way we could inject a side trip to Lake Sebu in our full tightly-packed itinerary. Unless we would have a change of heart and cut some stuff out of our plans in the middle of the trip. Well, that’s exactly what happened. In the afternoon of our third day in Davao, we were going over our plans for the next day when Jim, my regular and all-time favorite travel buddy asked me, “Would you want to go to Lake Sebu tomorrow instead?” I just stared at him for a split second unsure if he was just teasing or was really serious. He was the one who was hesitant to go at first due to security reasons, despite my efforts to look for stories online that would assure him it’s safe. I couldn’t answer immediately. 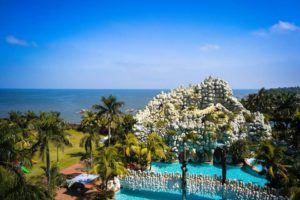 We were scheduled to visit Pearl Farm the following day and I was really looking forward to spending the whole day in the resort. 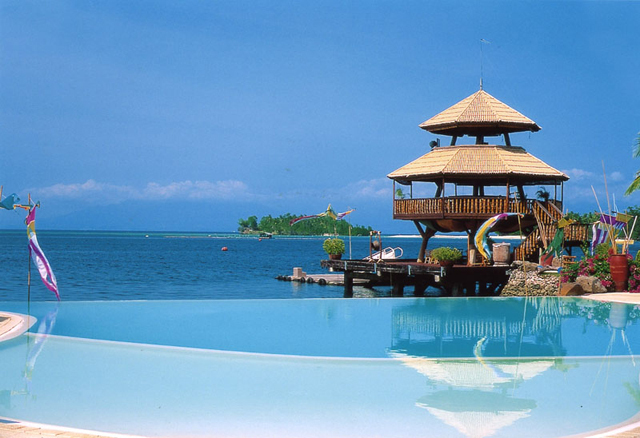 The images of Pearl Farm’s Parola Wharf and infinity pool, to me, are the best representation of the beaches in Davao and Samal island and I have been wanting to go and take my own photographs of this awesome resort for a long time. “Why’d you change your mind?” I asked. “We’ve already been to Samal and have spent two days at the beach. There wouldn’t be much difference if we’d go to Pearl Farm,” he said. “We could take the first trip tomorrow and get there early. By 12 noon, we’d be done and we could travel to Sultan Kudarat so you could visit your relatives,” he continued. It sounded like a great plan. How could I say no to that? I simply said “Okay” and just nodded in agreement. Deep inside though, I was jumping with glee and excitement. 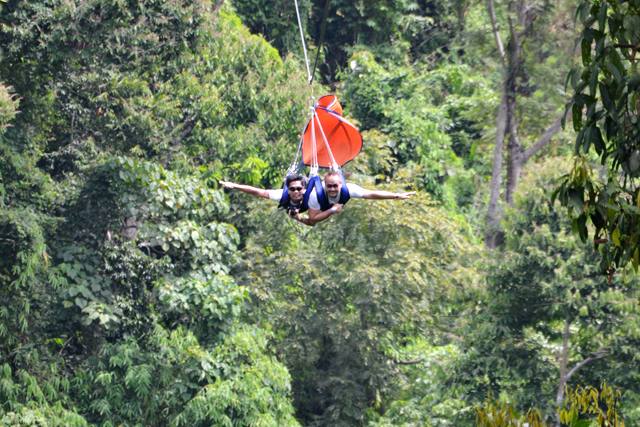 Not only would I get to experience Lake Sebu’s zipline, it was also my chance to go to Tacurong, Sultan Kudarat, where my mother grew up, and finally meet my relatives from the South for the first time. Pearl Farm has to wait. 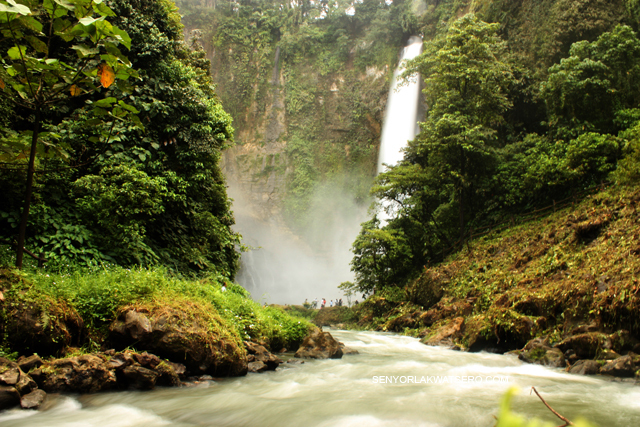 It took us about 6 hours to get to Lake Sebu from Davao City (see details at the end of this post.) We almost missed the drop off point. The jeep would have taken us all the way to the Poblacion if I hadn’t seen the signboard on the left side of the road. Since we left Davao very early that morning, we didn’t get the chance to eat breakfast. We were really hungry when we arrived so we decided to check out the nipa hut restaurants along the road first before going up to the main site. Unfortunately, there wasn’t much choice on the menu. They only serve tilapia, to be cooked either fried, grilled or sinigang. We opted for fried. As soon as we finished breakfast, we approached one of the habal-habal drivers and told him we wanted to go to where the zipline is. Along the way, we noticed a group of students hiking, but to get to the site, it would probably take a 30-minute hike or more along a winding and ascending road and it could be difficult and tiring so I wouldn’t recommend that. Besides the fare going up was just P20 each. We got to the entrance in less than 10 minutes. After we negotiated for a round trip fare (P100 each) which also included going around Lake Sebu later that day, we requested our drivers to meet us at the end of the zipline and entrusted them our backpacks. We paid P20 each at the entrance and went straight to the starting point of the zipline, thus missing Falls #1 which was supposed to be just a mere 5-minute walk from the entrance (I’m shaking my head as I write this.) 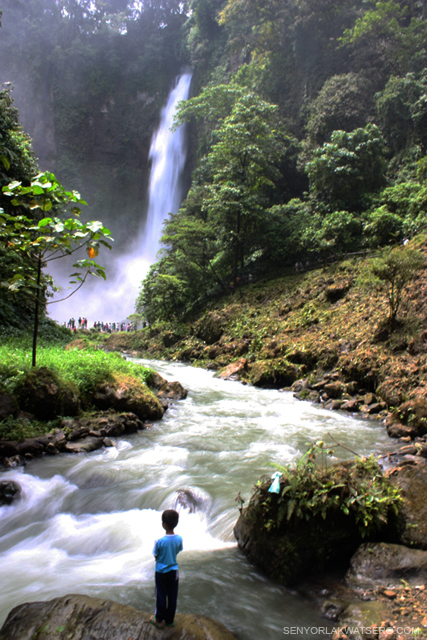 We picked package A for P300 which included a 700-meter ride from Falls #1 to Falls #5, and a 400-meter ride from Falls #5 to Falls #2. One has the option to ride solo or choose to ride in tandem (side-by-side) with a friend. Most of the tourists, including us, chose the later for one common reason, of course. It was amusing to watch everyone as we anxiously waited for our turns with obvious mixture of fear and excitement. Since we were there early, the queue was still short. Before long, we found ourselves hanging facing down, everything hooked, and as soon as I felt that harness do its job, all fear was gone. It felt so strong and safe. One of the crew asked if we wanted to have our pictures taken before we reach the end of the line. We said yes. 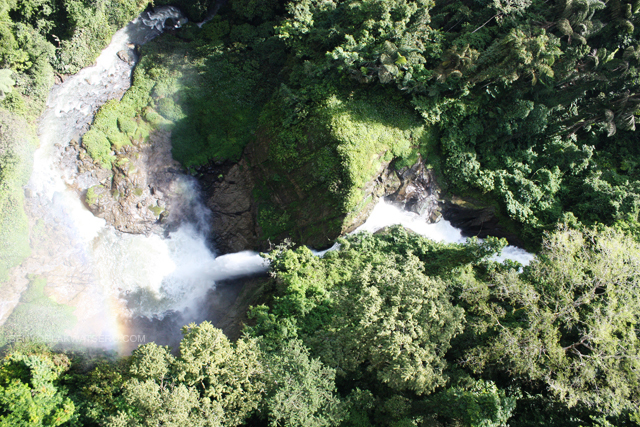 And soon after, we found ourselves 200 meters above the ground, zooming rapidly over tall trees and waterfalls. My camera started clicking as Jim began screaming with excitement. I had to stop taking pictures midway though, to enjoy the amazing view. Lake Sebu’s zipline is probably the most scenic among the many ziplines in the Philippines. The 700-meter ride took about 40 seconds only. A few seconds before we reached the drop zone, “Picture, picture!” Jim suddenly exlaimed . And as soon as I caught a glimpse of the photographer taking pictures of us, “Superman!” Jim shouted again as he extended his left hand prompting me to extend my right. We slowed down, and before long, the first leg of the ride was over. After getting out of our suits and harnesses later, we went to check out the pictures. We chose two shots, paid P100, and in a couple of minutes, we had the printed copies in 4R size . I asked if I could get a soft copy of the pictures and the photographer agreed for an additional P50. The second leg of Package A was shorter at 400 meters but was equally exhilarating nonetheless. I decided not to take pictures this time so I could enjoy the ride and the magnificent view much more. The zipline brought us to falls #2 in about 20 seconds, more or less. After the ride, we walked down the cemented pathways and stairs to get a closer look at the falls. The path on the right leads the visitors straight to the foot of the falls. We took the one on the left however to get a full view. Besides, the mist coming off at the foot the falls is so strong that going very near it would surely get us wet. That wasn’t part of the plan. Falls #2, otherwise known as Hikong Bente which means “immeasurable,” stands the highest of the 7 at approximately 70 ft high (more, I think) and is perched perfectly amidst a lush forest. It’s tremendous power is just incredible – amazing yet can be intimidating at the same. I wish we had more time. If given a chance, I would be thrilled to go back. 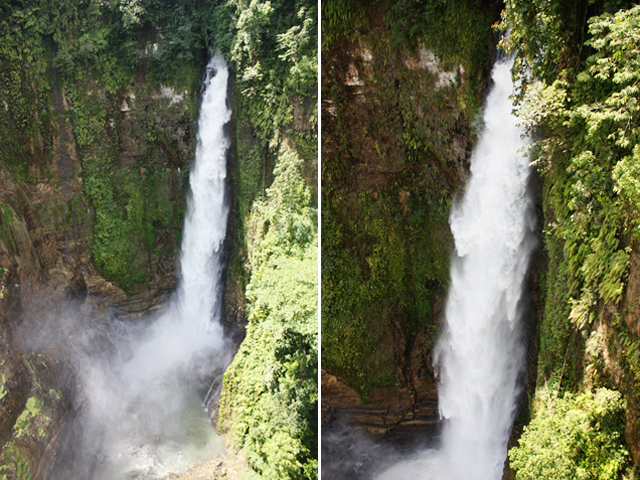 It would be nice to trek and see the rest of the falls up close and take a shower underneath one of them. 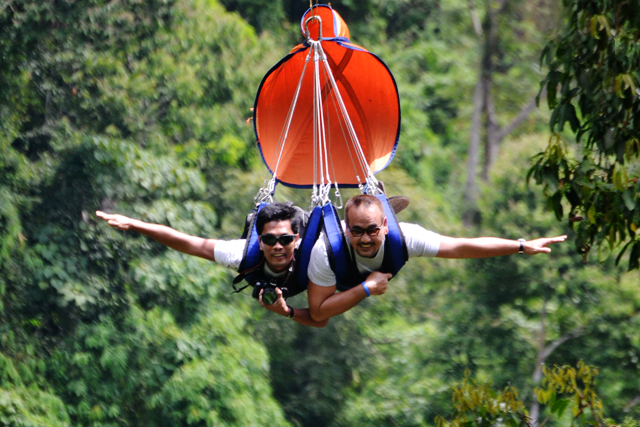 As for the zip line, when I get the opportunity to do it once more, there won’t be any shutter clicking. I would just fly over the 7 falls, scream with joy, feel the wind, and feast my eyes on the magnificence of nature to my heart’s content. 1) Take a bus/van from Davao to Tacurong. Travel time is approximately 3 hours. 2) From Tacurong, ride a jeep or bus to Isulan. Travel time is approximately 10minutes. 3) From Isulan, ride a jeep or bus to Surallah. Travel time is approximately 30minutes. 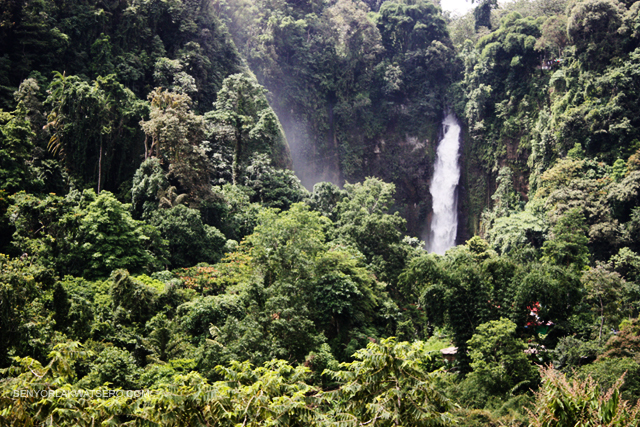 4) From Surallah, ride a jeep,van or habal habal to Lake Sebu. Travel time is approximately 30-45 minutes. 1.Take the Ceres bus to Gen San. Travel time is approximately 3 hours. 2.Then take another yellow bus from Gen San to Marbel (Koronadal City.) Travel time is approximately 1 hour. 3. From Marbel(Koronadal City) take a jeep,bus or van to Surallah.Travel time is approximately 30 minutes. 4. 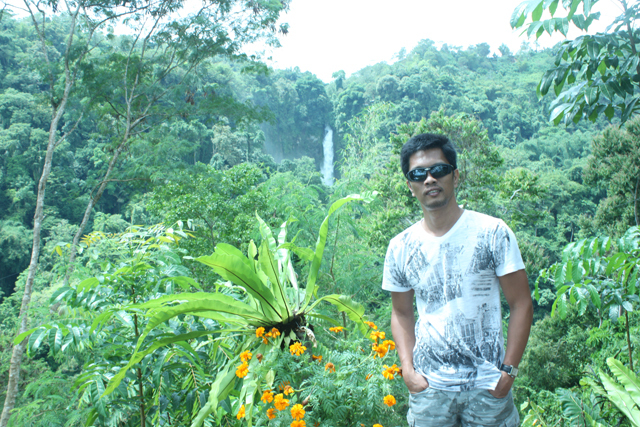 From Surallah take the van or jeepney to Lake Sebu. Travel time is about 30-45 minutes. 1. Take a bus that will bring you to Marbel (Koronadal City.) Travel time is approximately 1 hour. 2. From Koronadal, ride another bus to take you to Surallah. Travel time is about 30 minutes. 3. 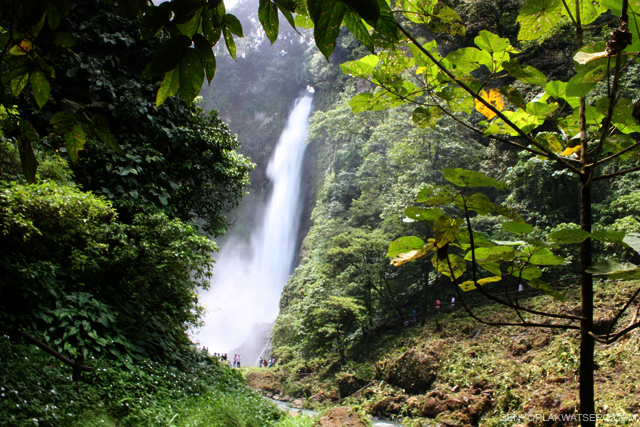 From Surallah you can either ride a jeep or van to take you to Lake Sebu. Travel time is about 30 minutes. Hi Gerum! Nice pix you got there! Amazing experience… mishu boss! Sa South Cotabatao na yan friend. About 4-5 hours away na yan from Davao. Yeah, I’ll keep on posting. Para sa yo at sa mga iba pang paminsan-minsan e bumibista sa blog ko. Thank you so much for the support! Glad you found it helpful :-). Have fun, Mervz! 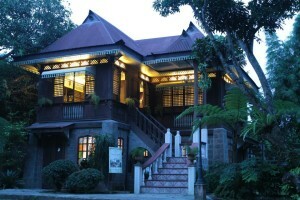 Hi, Senyor, which accommodation had you stayed in Lake Sebu. 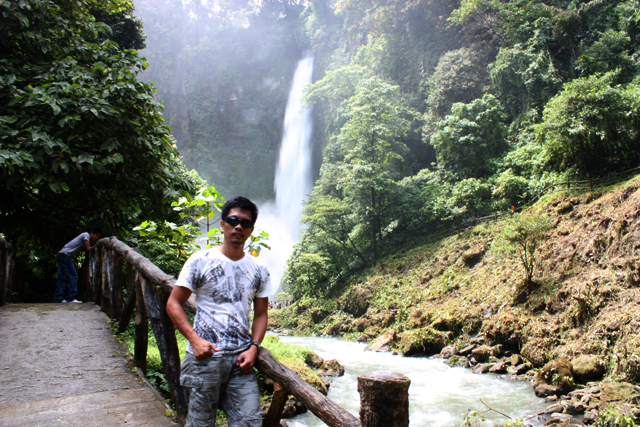 I will plan visit Lake Sebu from Davao city in Sep. of this year. Tks.